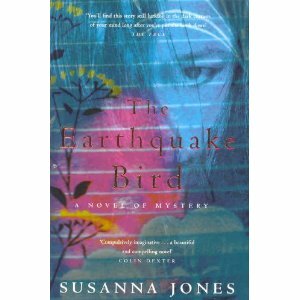 Reviews of books that take place in, or provide history about, Asia. “Your father may have brought you wings, Raami. But it is I who must to teach you to fly. I want you to understand this. This is not a story.” Raami is a seven-year-old girl with a leg damaged by polio, whose father taught her that words could make her fly and that stories are the gift life brings to those who listen. She yearns to walk with the grace of her beautiful mother, to run as freely as her little sister, but her father, Cambodia’s Tiger Prince, teaches her the power of words and the ability to transform her world into poetry. And then the bouquet disintegrates when the Khmer Rouge enter Phnom Penh and send the city’s residents onto the highways that lead into the countryside. Hastily Raami’s family throw what they will need into their car—jewelry stitched into an old pillow, food, Raami’s treasured copy of the Reamker, the Ramayana, and in her father’s pocket his fountain pen and the small leather notebook that goes with him everywhere. Deep in the Cambodian countryside, the family finds that little they brought is of any use to them. The world is new and inexplicable; only Raami’s mother knows how to survive without servants or the safety of a walled garden. The rules have all changed. Religion and education have been swallowed up by the new force which is Angkar, The Organization. Soldiers in black look for class enemies. When they ask Raami to give her father’s name, she announces it proudly. Sisowath rings in the air like a death sentence. The Tiger Prince is well-known for his courage and his poetry; even away from Phnom Penh peasants smile when they see his face. He gives himself up, telling his captors that the rest of the family are commoners who are relatives of his wife. Raami hears him writing in the dark, tearing a page from his notebook; the next morning he is carried away in an oxcart while his daughter begs him for one more story. The remaining family is torn apart. Raami, her mother, and her sister are taken to an old peasant couple who have always longed for children and see the three strangers as an answer to their deepest wish. “Don’t forget who you are,” Raami’s mother tells her as she sees her daughter learn to love the rural life. But under Angkar, happiness is a treacherous state and Raami’s mother is forced to teach her oldest daughter that the only way to survive is to put memories of the past in the farthest reaches of her brain. Ripped from their peasant family after the death of Raami’s baby sister, she and her mother sink deeper into hunger, exhaustion, and the madness of the Pol Pot years. By the end of the book, their deaths seem inevitable, as Angkar puts them to work excavating what seems to be a gigantic gravesite. The opening dedication of this novel provides a powerful clue to how it will end. “In the memory of my father,” Vaddey Ratner writes, “Neak Ang Mecha Sisowath Ayuravann.” The name rings like a clear bell. It’s the name of Raami’s father. This book is a novel because, to tell her own story with the depth that she wanted, Vaddey Ratner needed to create thoughts and speech and feelings that as a small child she could neither remember nor completely comprehend. She has taken lives that were snuffed out and lives that held on in spite of unimaginable cruelty and turned what some cynically call a “misery memoir” to a story that is mythic in its scope and description. The beauty of Cambodia, the courage of its people, and the horror of its recent history is told with the resonance and poetry of Raami’s beloved Reamker. This is an unforgettable narrative and a tribute to the courage of Vaddey Ratner’s parents. This review was first published in the International Examiner. From Seattle to Shanghai was a long journey in 1925, especially for an unaccompanied woman. But Irene Blum travels in a world of art trafficking on a mammoth scale. For her the globe is studded with treasures to be bought and sold, the crown jewels of the deposed Russian tsar, a ring that was the Empress Cixi's prized possession, paintings fit for the collection of a Rockefeller, and most of all, the newly discovered glories of Cambodia's Angkor Wat. "A woman with a calling, now that is a thing of beauty," is how one of Irene's oldest friends describes her, but Irene's calling has turned to an obsession, a means of revenge. Passed over for a coveted position at the museum she has made into a showcase for Asian art in favor of a man with little experience, Irene is out to find a key to the forgotten history of the Khmer Empire, something that nobody else knows about--a set of copper scrolls hidden in the farthest reaches of Cambodia. With these in her possession, Irene will have a place in any museum she chooses and a secure spot in the only world that matters to her. Irene's mentor, a man who has fostered her interest in Khmer art, has sent her to Shanghai to enlist the assistance of Simone Merlin, a woman who grew up among the Angkorean temples and knows them as few others do. Now married to a man who is devoted to Communist revolution, Simone is reluctant to return to the world she knew and loved, especially since her husband is both possessive and violent. So begins a story of adventure and mystery, one that is neither predictable nor ordinary. The plot twists alone would make this an intriguing novel but Kim Fay has skillfully added well-researched history, intertwining the story of a vanished empire with the lives of her characters without making one false or stilted move. Above all, what makes this book outstanding is its wealth of sensory details. Fay's plot takes readers to Saigon, to Angkor Wat, into the Cambodian jungle, but her descriptions give the heat, the light, the color, the smells of these places. This is a writer who clearly knows and loves Southeast Asia, with a gift that makes the region tangible on the page. Fay does the same for the people in her novel. Even incidental characters take on a fully-fleshed presence, as much as as the eccentric adventurers who form a fragile and almost incompatible relationship as they are drawn together by different motives to reach the same goal. Paying them the compliment of a slightly ambiguous ending, she allows them life beyond their adventure's end, letting them move on without a tidy and conventional conclusion, ensuring that they won't be easily forgotten. If you want to know the innermost core of a city, its hopes, dreams, and fears, read its crime fiction. If you want to explore every facet of that core, revealed by different points of view, read Akashic Books’ noir series, where a number of writers, all well familiar with their city (or in some volumes their state or country), each write a crime story about it. The latest in this series, Mumbai Noir, is a collection of “all-new” stories by fifteen writers, most of them living, or having once lived, in Mumbai. And that is what makes these stories so compelling—each selection is steeped in a knowledgeable sense of place, and aknowledge of the often grisly criminal acts that occur in that place. The stories that follow argue with that assertion. Going from the shadowed world of the transgendered hijira, to the dance halls where beautiful women command a price perhaps too high, to the streets where an alluring body may not be what it seems, Mumbai certainly still seems to have what one man calls “The Juice.” Within this city, the crimes range from one that will make strong men turn pallid to an almost novelistic story of obsessive attraction told by both the stalker and the stalked, with an ambiguous ending that skillfully teases, puzzles, and evokes arguments. An affluent woman hides from the world in her apartment that is housed in an “an all-vegetarian building” where her secret fear comes knocking on her door; gothic horror and perhaps the secret of eternal youth lurk in a traveler’s oasis that “disowned chaos” in a city that seemingly embodies it. Murder strikes in a fitness center as efficiently as it does within a motorized rickshaw, and as befits a collection of noir fiction, there are hard-boiled detectives and cynical cops to assess—if not solve —mysterious cases. The writers of Mumbai Noir are male and female—including a pair of surgeons who write collaboratively to form one author. Contributors to this anthology lead IT firms, make films, take photographs, work at non-governmental organizations. The diversity of their interests leads to the diversity found within this collection, offering a tantalizing glimpse of their city beneath the darkness of their stories. The wide-ranging ethnic differences found in Mumbai are reflected in the glossary at the back of the book, defining words from Hindi, Urdu, Maharathi, Punjabi, and Gujarati. A few of the terms are obscenities, still more have to do with food, which says quite a bit about this city. The story starts off with the discovery of an abandoned car in a vast field of sunflowers. In it, the police find the body of a man. They also find another body which they at first think is a child but discover to be a dog. What the police find strange though is that the body of the man has been dead for a year or and year and a half. However, the dog has only been dead for about three months. From here, the actual story begins as told through the point of view from the dog. As a little puppy, the dog is left in a cardboard box. If it wasn’t for a young girl who takes him home, he might not have survived. She feeds him, washes him and asks her mother if she can keep him. Mother says to ask father, so in the meantime, she lets the dog sleep in a basket where they keep their linen. Dad first meets the dog by getting bitten when he goes to grab a towel. But even after this beginning, the dog becomes a part of the family. The daughter who first brought the puppy home names him Happy, plays with him and feeds him delicious treats from time to time. Mother provides his meals and discipline when he does something bad, but it’s always Father who takes Happy for a walk. A year passes. Everyone becomes a little older. Happy tells us he has aged about seven years. Happy notices little changes in the family, but Miku the daughter still plays with him, Mother still feeds him, and Father still takes him for walks. A few more years pass and the changes become even more noticeable to Happy. Miku no longer plays with him, lately it’s Father who feeds him but the one thing that doesn’t change is Father taking him for a walk. But before, Father would always take Happy for a walk late in the day. These days, Father takes him for a walk around noon. Happy also notices that they take a different route but the biggest difference Happy notices is that Father doesn’t talk as much as he used to It will be you, the reader, who realizes that Father has lost his job and is also suffering from some illness as the picture in the background shows Father visiting an employment agency and going to the hospital. More unfortunate news awaits Father when he returns home. His wife asks for a divorce. Now Father has no job, no family, no home. He’s left with a bit of money after the divorce, but his only companion is Happy. Father says to Happy, “The hell with it, let’s go South. That’s where my hometown is. Not that there is anything left there.” And so they are off on a road trip. Along the way, they meet a homeless boy who becomes their companion for a short while. The next thing Father knows, the boy has stolen his wallet. Although, he says to Happy, he’s not really mad about the boy stealing but that they boy didn’t have the humility to ask for help. Tragedy strikes on their journey. Happy falls sick. Father rushes Happy to the nearest vet and pleads with the veterinarians to keep his friend alive. Father sells whatever remains of his belongings and manages to save Happy. They continue on their journey but run out of gas and money in a vast field of sunflowers. Father finally succumbs to a sleep he never wakes up from. Happy lives on and thinks he sees Miku, Mother and Father at a campground and runs to meet them only to be beaten on the head with a stick. Happy slowly crawls back to where Father is, says he’s tired too and passes away. Then the story comes back to where it started. The finding of a body and a dog in an abandoned car in a field of sunflowers. There is no identification on the body, the license plate of the car is missing, the vehicle identity number has been scratched off. Finding out who this John Doe is the job of a case worker. If the man’s identity cannot be discovered, the body will be cremated and the ashes placed in an urn for the unclaimed. Okutsu-san, the case worker for this job thought it would be a simple matter until he finds a receipt for goods bought at a store. According to the law, it’s his duty to investigate the matter and so begins Okutsu-san’s own journey on retracing Father and Happy’s steps. Although our blog is titled “Asia by the Book”, I have decided to go against the grain and review a magazine. But this isn’t just any magazine. This is the first English language version of a popular Japanese literary magazine called Monkey Business, created in 2008 and named after a line in a Chuck Berry tune. The Monkey Business Manifesto states that “Monkey Businessis a newly founded journal of new writing from Japan and abroad with a few not-so-new works strategically slipped in.” It’s my belief that literary magazines deserve as much attention as novels as they are usually full of short stories, novellas, poems, and reviews of upcoming titles. 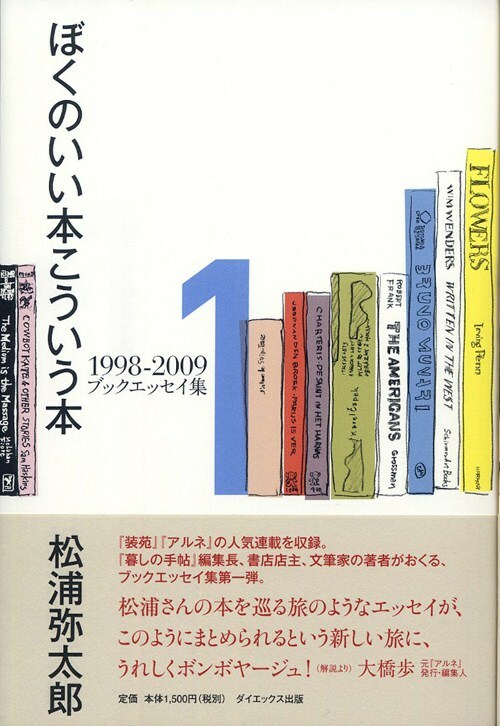 Published by A Public Space, also a literary journal, Monkey Business is edited by Ted Goossen, translator of Japanese publications into English, and Motoyuki Shibata, known for his Japanese translations of contemporary authors such as Thomas Pynchon, Steve Millhauser and Paul Auster to name a few. This issue is a compilation of pieces from the magazine’s first year in publication which are now translated into English, including short stories, essays, poems, manga, interviews and more. Goosen and Shibata do not limit their pieces to Japanese writers, they also feature a few foreign writers as well. A highlight of this first issue is an interview with popular author and 2010 nominee for the Nobel prize in literature, Haruki Murakami conducted by novelist Hideo Furukawa in 2008, a winner of the Japan Mystery Writers Association Prize and SF Grand Prize for his novel Arabia. The interview starts off with the two authors discussing writing and where they get their ideas. It follows with Furukawa asking Murukami why he decided to live abroad, about his time spent in the U.S. and writing The Wind-Up Bird Chronicle, his return to Japan and writing his first non-fiction book about the Aum Doomsday Cult and sarin gas subway attack. They also talk about first- versus third- person narrations. Any fan of Murakami’s works won’t want to miss out on this interview. One of my favorite stories from this compilation is Sandy’s Lament – from The Memoirs of theSramana Wujing by Atsukshi Nakajima. This was part of a series of stories based on the Chinese novel Journey to the West by Wu Cheng’en which in turn is loosely based on a true story about a monk named Tripataka and his journey to bring back Buddhist scripture from India. For you trivia buffs and otaku, you may be surprised to know a popular manga series was also based on Journey to the West – Akira Toriyama’s Dragonball! In the original story, Tripitaka has three companions – Sun Wukong (alias Monkey), Zhu Bajie (alias Pig), and Xia Wujing (alias Sandy). In the Japanese translation, Sandy would be a kappa, a water spirit. This short story is narrated by Sandy as he wonders why he and his two companions continue to follow Tripitaka. The manga in this issue is A Country Doctor by the Brother and Sister Nishioka and based on a story by Franz Kafka. In keeping with original Japanese style, the manga is read from left to right which means you have to skip ahead a few pages and read the story in descending pages. There are also poems by Mina Ishikawa, The Sleep Division; Minoru Ozawa, Monkey Haiku; Shion Mizuhara, Monkey Tanka; Masayo Koike, When Monkeys Sing all translated by Ted Goossen, and short stories by Yoko Ogawa, Koji Uno, and Sachiko Kishimoto. I have a standard New Year’s Resolution that hasn’t changed in the past few years. My goal is to read at least one hundred books. This year, I have also added to my resolution to read more books in Japanese. Before you drop your jaws in awe, I must admit, this includes photography books, children’s books, graphic novels, and literary magazines. But do you ever find yourself between books and can’t decide what to read next? It’s at times like this when books full of essays about books come in handy. For English publications, there’s always the New York Times Bestseller list but I much prefer Nick Hornby’s column, Stuff I’ve Read, in the Believer, (http://www.believermag.com/)because it has more eclectic offerings. His book essays have also been collected into three series of books. His book is the first volume of a collection of his book essays that he has written for magazines. As I read it, I discovered that Matsuura’s taste in books is similar to my own. He features a vast array of visual books including photography, art, design and interior decoration, children’s books, cookbooks (which are more than just books with recipes) and a lot of books and zines published by small independent presses. Since this is a Japanese book, Matsuura also features English titles translated into Japanese. Some of his favorite authors seem to be Jack Kerouac, Richard Brautigan, and Paul Auster. Kerouac’s Japanese translation of On the Road was a life- changing book for him. Shortly after reading it, Matsuura became inspired to travel across the USA as well, even though he had no plans on what he was going to do once he got there. Reading these essays has perked my interest in reading those authors as well (even if a lot of people say On the Road is overrated). One of the books Matsuura features and which captured my interest is Chairo no Asa or Brown Morning. (I discovered that the original was a French book titled Matin Brun by Franck Pavloff, with new art by Vincent Gallo for the Japanese edition. I may have to look for an English edition of that book.) I also want to go in search of a Japanese children’s book titled Yakareta Sakana or The Grilled Fish, about a grilled fish lying on a white plate yearning to go back to the sea. This book is available only in Japanese. We may all be familiar with the old adage, "Don't judge a book by its cover", but we should also include a new saying as well, "Don't judge a book by its title!" "English" may sound rather bland; it may even be mistaken for a text book for ESL students and left untouched. If this is the case, readers will miss out on one of the best novels I've read this year. This is Wang Gang's first novel to be translated into English from the Chinese. The story is loosely based upon the author’s own life as he remembers living through China's Cultural Revolution. The hero and the narrator of the story is twelve-year old Love Liu who lives in China's remote northwest region in a small village called Urumchi and now relates the novel through his adult perspective. The story starts out with Love Liu's teacher Ahjitai entering the classroom with tears running down her face. Love Liu describes her as a "double turner", which in Urumchi means that "the mother is Uyghur and the father is a Han Chinese, or the other way around." She was also the most beautiful woman in all of Urumchi. The previous year, the class had stopped learning Russian and Ahjitai, being part Uyghur, had taught the students a bit of Uyghur. But boys being boys, they didn't really care about the languages, they just enjoyed having a teacher as beautiful as Ahjitai...and now she was leaving. The following day, Love Liu is surprised to see a well dressed man at school and quickly surmises that this man is the new English teacher. His name is Second Prize Wang and he has just arrived from Shanghai. But what really catches Love Liu's eyes is the navy blue book Second Prize Wang is holding, an English dictionary. And with Love Liu's desire to learn English and to speak it well, a friendship grows between Love Liu and his teacher, much to the annoyance of his neighbor and competitive classmate Sunrise Huang. Love Liu becomes obsessed with the dictionary as he tries to persuade Second Prize Wang to let him borrow it. When his teacher refuses, Love Liu devises a plan to steal it. But his plans fail as he almost gets caught—and discovers that his teacher Second Prize Wang is in love with Ahjitai. He unwittingly lets his neighbor Sunrise Huang know, who gets jealous and tells the authorities that yes, Second Prize Wang had touched her during the private lessons he had been giving her. As this is China during the Cultural Revolution, the slightest rumor or innuendo of misconduct can result in harsh punishment. In the case of Second Prize Wang, Sunrise Huang’s false confession to the authority results in Second Prize Wang being sent to a labor camp. He was already under suspicion as an outsider, and has no way to prove that Sunrise Huang has lied. What a great opening for the story told by Lucy Fly – an Englishwoman from Yorkshire who currently works as a translator in Tokyo and has just been arrested in connection with the disappearance of another British woman – Lily Bridges. The police have discovered a torso in Tokyo Bay believed to be part of the remains of Lily Bridges and the last person to be seen with the dead woman was none other than Lucy Fly. There was an altercation between the two as well, according to a witness. Although a friend of Lucy’s tells her to act normal when being questioned by the police, she is not all that cooperative, as she does not want to implicate her friend and lover Teiji. The mystery takes on a whole new life as the police continue to question Lucy. Slowly she divulges to us, the readers, why she left her home and family in the first place. How she became friends with Lily. And then with Teiji. And how their three lives intertwined. What brought Lily together with Lucy was the fact that they were from the same area in England—although Lucy wasn’t really thrilled with hanging out with someone from her old neighborhood, as she moved to Tokyo to get as far away as she could from her roots. Still, Lucy couldn’t help but like Lily, who had a friendly and positive attitude towards life. Lucy seems resigned to the fact that she’s guilty of something. She may not be directly implicated in Lily’s death and mutilation, but somehow she feels responsible for it. Could the usually reserved Lucy really be a killer in disguise? Why is she being so uncooperative with the police? Does she really have something to hide? Or does she just not care what is going to happen to her? The outcome may surprise you and might make you rethink your position on the power of love. Chinese science-fiction? I didn't know what to expect when I picked up this title,but Guo, who is also a filmmaker, writes quite an interesting story. It's hard for me to say if it accurately portrays life in a small rural Chinese village but the book allows me to imagine the events as they unfold. In a rural area of Hunan province in a small town called Silver Hill Village lives a peasant woman named Kwok Yun. "On the twentieth day of the seventh moon" or September 11, 2012 while riding her Flying Pigeon bicycle, she claims to have seen a spinning plate in the sky, a "UFThing." She reports the incident to the village chief, Chang Lee, who reports the incident to officials in Beijing, who send Beijing Agent 1919 and Hunan Agent 1989 from the National Security and Intelligence Agency to investigate the matter. The agents start their investigation by interviewing Chang Lee, then her secretary, then Kwok Yun (who appears to be the only witness to the UFO), and then the other peasants who live in the village. Unfortunately for Beijing Agent 1919, he cannot understand the village’s dialect and the peasants cannot understand his Chinese. This frustrates him to no end as he does not even want to be in this back water town and feels his time is being wasted. He is condescending and a bit rude, which made me speculate this probably reflects the current attitude of the Chinese government towards the general population. Kwok Yun tells the agents that on the day she saw the UFO, she heard someone crying for help in the fields nearby, where she found a yellow-haired foreigner who had been bitten by a snake. Taking him to her home, she saved him from certain death. Agent 1919 then grills her on why she took the foreigner to her home and didn’t immediately report it to the village chief. Kwok Yun replies there was no time to report it; she had some children help her take the foreigner to her home where he recovered and left unnoticed. But the appearance of the foreigner seems to have to no conection with the sighting of the UFO. A year later, the village receives a letter from a foreign country, written by the man who had been bitten by the snake. Of course the villagers, most of whom are illiterate, have to take the letter to the village teacher to have him translate it. In gratitude for the help he received from the children and the peasant woman whose name he doesn’t know, the foreigner has sent a check for $2000 which he asks that the village use for their school. The village chief, who only thinks of the betterment of her community, uses the money to repair the school and suggests that the UFO sighting should be used as a tourist attraction to enable the village to catch up to the 21st century. She also begs the teacher to start giving lessons to Kwok Yun, since she has become a local celebrity. Soon the village is provided with an annual stipend from Beijing and builds a UFO museum. Kwok Yun gets married to the teacher and moves to the city. The local butcher who could not keep up with the newly introduced standards of modern hygiene has his shop closed, spends his days muttering about the changes, and kills Hunan Agent 1989. The owner of the rice fields where the UFO was first sighted has his land taken away to make room for the new museum. And Beijing Agent 1919 continues to keep an eye on Kwok Yun for the rest of her life. If Mark Twain were alive and well in the twenty-first century, Huckleberry Finn would be an American version of Brothers. These books have everything in common except for the bawdy, ribald satire that fills this novel by Yu Hua. Without the cultural restraints that hampered Mark Twain, certainly Huckleberry would have happily joined Baldy Li in his fourteen-year-old adventure in voyeurism, peeking at female buttocks in the public toilet. If not for his mother's second marriage, Baldy, like Huckleberry, would have been an individualistic rascal "lighting off for the territory" alone but fate provided him with a brother. The son of Baldy's stepfather, Song Gang shares none of his new brother's gene pool but swiftly becomes his comrade in survival--and later his romantic rival. Brothers was published in China as a work in two volumes; in the West it was presented in a single volume divided into two parts, which does not work to the novel's advantage. This is clearly two separate books with two jarringly different moods. When jammed together In one volume, what its translators describe as "subversive humor" rubs jaggedly against what they term "haunting sentimentality." It's as though the tragic heroism found in The Grapes of Wrath was followed by the unsparing, savage satirical voice of Evelyn Waugh. Hua's first book is haunting but far from sentimental. When Baldy's heroic stepfather is battered to death on the street during the Cultural Revolution and his son and stepson find his corpse, there is no sentimentality in the rather callous way they examine a body so disfigured that they are unable to recognize the man they both deeply love. Even the most tender scene between the children and their father, a trip to the ocean on a moonlit night, avoids bathos by being placed between the destruction of the family's home and the imprisonment that leaves the boys to become a solid unit, depending only on each other for their survival. The violence of this turbulent period in Chinese history is accompanied by the examples of heroes--both parents of Song Gang and Baldy Li have strength and courage in epic quantities. And then history takes a hard twist and so does this novel. With the onset of free enterprise and untrammeled wealth, heroism dissolves and so does the bond between the two brothers. Song Gang, besotted by love, becomes a uxurious fool while Baldy Li, still obsessed by his adolescent glimpse of the perfect bottom that belongs to his brother's wife, hurls himself into making money. There are no heroes in this landscape shaped by energy and greed--only successful businessmen. And business destroys goodness in grotesque and horrible ways, stripping away the dignity that the brutality of the Cultural Revolution was unable to extinguish. Heroism is swallowed up by instant gratification and virtue is destroyed by the search for glory that only money can provide. Death in the first portion of this book was reason for deep sadness; in the second part, nobody--not even the reader--truly cares. And as Brothers ends with Baldy Li planning to carry Song Gang's ashes on a purchased space-shuttle ride, a scheme that he hatches while "perched atop his famously gold-plated toilet seat," the thought arises, how would Huckleberry Finn conclude in 21st century America--on Wall Street? In a homeless shelter? Selling masculine extensions over the Internet? Or would Huck be on his way, perhaps with Baldy Li, to colonize the moon? As Basho hovers between life and death, his disciples perform the ritual act of brushing his lips with water, while their reactions to the poet’s passing range from revulsion to relief. A man prepares himself for his first murder, and the woman who is his conspirator readies herself for an unanticipated role in the killing the two have planned together. Young university graduates, on a seaside holiday before searching for jobs in Tokyo, watch young women fearlessly swimming among the jellyfish that have kept the students from plunging into the water. A saintly young man who is the protégé of Christian priests falls from grace and into penury, until an act of courage leads to his death, his redemption, and the revelation of the shadow world that he had made his own. The characters in this collection of brief and haunting stories are poised between actions, where Ryunosuke Akutagawa examines them as though they were butterflies impaled on the pointed ends of pins. Each story is a carefully constructed world of sadness and a kind of hopeless beauty, which is precisely described in spare and graceful sentences. They linger and tease and disturb; they inhabit their readers in ways that are not always comfortable. They are quite possibly addictive. The temptation to look at many of these stories as being an autobiographical glimpse of Akutagawa is great, especially since two of the most revealing, Cogwheels and The Life of a Fool, which explore the inner workingsof a tortured mind, both appeared just before he died of an overdose of veronal in 1927. What they do reveal is Akutagawa’s thoughts about his country after its rush from isolation to modernity, and in the beginning of its expansion before World War Two. The Garden, with its examination of tradition altered and destroyed, its “undeniable intimation of impending ruin,”clearly shows the author’s distaste for the changes that Japan went through during his lifetime. It is certain, however, that these are stories that plunge fearlessly into the place that lies between sanity and madness, between tradition and modernity, between the past and the future. They capture the place that T.S. Eliot described, the spot where “between the motion and the act falls the shadow.” Written at the beginning of the last century, it is startling how they, and Akutagawa, speak to the time that we live in now. Vassar Spore is a sixteen year old over-achiever who has her life planned out for the next ten years. She will take AP and AAP (Advanced Advanced Placement) classes over the summer and is determined to be valedictorian of her high school class. She has no doubts about being accepted and graduating from the college which bears her name, and she intends to win the Pulitzer Prize. However, one calm evening Vassar receives an envelope postmarked from Malaysia—sent by the grandmother she’s never met – Gertrude. Inside is a note that says “Happy Birthday, kiddo! Ta da! One all-expense paid vacation backpacking through Malaysia, Cambodia, and Laos –with ME!” Along with the note is another envelope.that contains a round-trip ticket to Singapore. Of course, Vassar decides, there is no way she has time to accept this present, not with her meticulously planned life. But after Vassar’s parents receive a collect call from Grandma Gertrude, for some reason they allow their daughter go to Southeast Asia. The small fragments of their conversation with Gertrude that Vassar is able to overhear contains words like “Bubble…birth…too young…rubber ball…dying…egg”. No idiot, Vassar realizes that Grandma Gertrude has somehow blackmailed her parents into agreeing to the trip that will put such a big clink into her Life Goals. But now she has more than enough reason to go – to find out what Gertrude’s Big Secret is. With only two weeks to plan for her odyssey, Vassar and her parents pack whatever they think is essential to her safety and well being--which turns out to be ten fully loaded bags of luggage. Setting off with her PTP (Portable Travel Planner) and her entourage of baggage, Vassar finds herself on an airplane to Singapore. Having never before done anything without intensive planning, Vassar is full of anxiety as she sets foot in her first foreign country. Her anxiety intensifies as there is no Grandma Gertrude to meet her and a stranger has been sent to drive her to Malaysia. When Vassar finally meets her grandmother, she is told to rest because they will leave for Cambodia the following morning. She tries in vain to find out what the Big Secret is from her grandmother, who finally agrees to give her clues that will help her solve the mystery on her own. And thus begins Vassar’s adventure. She will go to the ancient temples of Angkor Wat, walk the streets of Phnom Penh, trek through the jungles of Laos, and learn what it means to really live life – all without a plan. The only thing Vassar knows is that she will never be the same again. When I worked at the Elliott Bay Book Company I was always in search of titles to recommend for twelve to fourteen year old boys. These recommendations had to be something more than the popular wizard series or the classic adventures of Verne and Kipling, whose language could be difficult for some young readers. If I were working at that bookstore now, I would be sure to have Somtow’s novel on hand. Though not billed as a young adult book, Jasmine Nights is a perfect fit. The hero, Justin, is nearing thirteen years of age and learning the life lessons imparted by his crazy family, his crazy morphing body, and the crazy world in 1960's Bangkok where he has been deposited by his parents and where he learns about friendship, love, family and himself. Like climbing trees and skinny dipping, issues of race, class and cultural conflict have never before entered Justin’s imagination until he met his African American neighbor, Virgil and becomes attracted to Virgil’s natural boyishness and his commitment to the young and painful cultural history that his family carries. It is the painful portion of Virgil’s heritage that takes the stage as the expat children begin their school year and racial tensions flare. Luckily, the book does not flatten the issue. Justin sees that, above all, it isn’t an easily definable problem since each of the boys “is the victim of a self-perpetuating cycle of injustice.” It isn’t the fault of any of them individually, he notes, “It’s the whole forsaken universe, locked in a maze without doors, all of us, each one of us and island, each one of us alone.” As part of his transformation, Justin takes it upon himself to right these great wrongs. Kristianne Huntsberger, a soon-to-be Bangkok resident, looks at memory and identity through the eyes of a Sri Lankan writer. The epigraph to Bringing Tony Home is taken from a dialogue with the Buddha, in which a man asks, "If I die and am born again as you say I will be, is that, which is reborn, the same me?" The Buddha replies that it is "neither you, nor yet any other." Tissa Abeysekara writes that, likewise, his book, "being truth recreated through memory, is neither true nor untrue." It is a collection of stories grafted with autobiography. Memory and fiction come in and out of focus the way that a sweeping camera pans over an expansive landscape where a small figure traces a road along the railroad tracks. Locating identity within memory and the recorded history of his mid-twentieth century home in post-colonial Ceylon is a daunting task for the narrator, a boy from a privileged native family whose fortunes failed after World War II. He recalls a British fighter plane crash in 1942, and his memory of watching the wounded pilot being carted away in a hackney. His mother considers this a constructed memory because he had been only three years old "and according to her it is not possible to remember that far back and over the years I came to doubt it myself, but now I remembered the scene once more and it seemed quite real and if it was otherwise like Mother suspected, it didn't seem to matter anymore.". The family is forced to leave behind the "Big House" and the red Jaguar and Tony, the faithful family dog. The boy's mother would have him learn to adapt and his father would have him hold on to the former world. These stories explain the consequences of this division, evidenced in the narrator's internal and social struggle. When revisiting the native home of his grandmother he encounters a monk on the mountain who asks, "'from where are you?' This question in my language implies much more than your place of residence. It wants to know your origin." This is the question the narrator pursues and the one that provokes the deep introspection of Abeysekara’s stories. When the narrator rescues his dog, marching him the distance between the abandoned Big House in Depanama and the poor one in Egodawatta, or when he rejects his father’s gift, rediscovers his adolescent lover or travels to the central hills where his grandmother was born, we understand that we are being shown more than just these incidents. We are following the narrator as he learns, finally, the meaning behind the episodes in his life. There is clarity in the distance he has gained and in remembering things past, much like glimpsing the sea from the mountaintop. As the monk he encountered near his grandmother's home explained, after years of looking, it will happen suddenly: "through that little break in the long line of hills, like through the eye of a needle, I saw the water, blue and glistening like a crest gem. Ever since then I see it. I need glasses to read, but I see faraway things." Abeysekara paused in the middle of his life to reflect on a world he no longer recognized and which had ceased to recognize him, and to glimpse the world he was unable to see before that moment. After receiving word that Abeysekara had passed away in April of this year I re-read Bringing Tony Home. Returning to the book as tribute to the man's nostalgia, I found my own. Between the pages I had left a bus transfer and a strand of hair--a gray one--that I lost while reading a passage in which the narrator unpacks the story of his own birth, faced with entries from the diary his father kept that year. How does one react to the unraveling of one’s own myth? By recognizing the contradictions of our fathers as our own, Abeysekara answers. The relationship then between fiction and fact in these stories is the same as in the lives we live. We re-member and re-read and re-live our memories to make meaning. Asia By the Book is delighted to receive this review from Ryan Mita, former bookseller at Seattle's Elliott Bay Book Company, a traveler who has volunteered his time and energy in South America and Asia, and a librarian-in-the-making. In a shabby cottage in Central Japan lives a brilliant professor of mathematics, who wears a plain suit and moldy shoes. Handwritten notes are clipped onto every inch of his suit, tangible reminders of his identity. The most important note reads: "My memory lasts only 80 minutes." His new housekeeper is a single mother, an empty person who agrees that she contains a zero inside. The housekeeper and the professor make an unlikely pair, joined by her son, nicknamed Root for his flat head. The professor will handwrite a note to remember their presence: "The new housekeeper…and her son, ten years old." The plot unfolds unhurriedly as Ogawa skillfully blends little victories into larger, more painful setbacks. The housekeeper treats her son and the professor to see their beloved baseball team, the Hanshin Tigers. Root idolizes the current team and the professor had memorized the team's statistics until 1976, the season of the car accident that impaired his memory. This exciting shared experience will press the professor to the limits of exhaustion. After returning to the cottage, he develops a fever and slumbers for three days. The housekeeper remains by his bedside, nurturing the professor back to health. However, the professor's sister-in-law reports this rule violation to the agency and the housekeeper is assigned to another client. As she mops the floor at a tax consultation office, she begins to believe in mathematics and "the sense that this invisible world was somehow propping up the visible one." Soon after, Root reaches out to the professor and the housekeeper is invited back. During the hot summer, the professor devotes himself to solving a problem posed by the Journal of Mathematics. After two months of quiet concentration, the puzzle is completed and the housekeeper takes the proof to the post office. Satisfied, she purchases a few clean items for the professor and returns to the cottage in 70 minutes. The professor does not recognize her and begins their relationship again with the question: "How much did you weigh when you were born?" Although his mind is mathematically keen, the professor's true gift is his ability to draw people together. For his elegant proof, the journal awards the professor first prize and the small family sets out to find a suitable gift. They decide to add to the professor's nearly complete baseball card collection. Together, the mother and son will crisscross the streets of an unnamed city in Hyogo prefecture. They will ride the "dingy elevators" seeking the elusive piece. And as they search, a new world opens up for Root, a world he shares with his friend and mentor, the professor. One of the fascinating aspects of this novella is the clear and natural voice Ogawa writes with. Her voice allows Ogawa to create a pace, unmarred by actual names or specific places. Her seemingly simple plot hints at a larger story, like the intricate details in the foreground of a vivid painting, and makes The Housekeeper and the Professor a quietly astonishing book. ©1994-2019 Global Directions, Inc. All Rights Reserved.